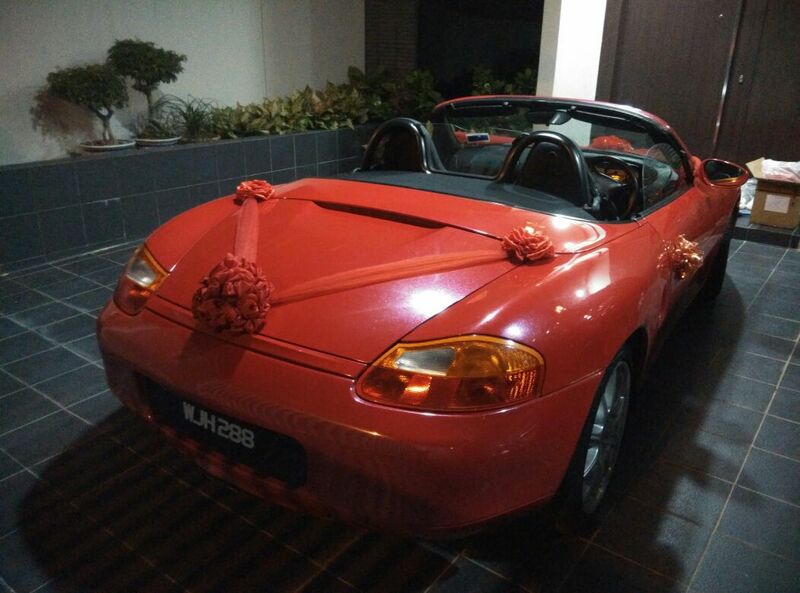 Who says wedding cars cannot be self driven? 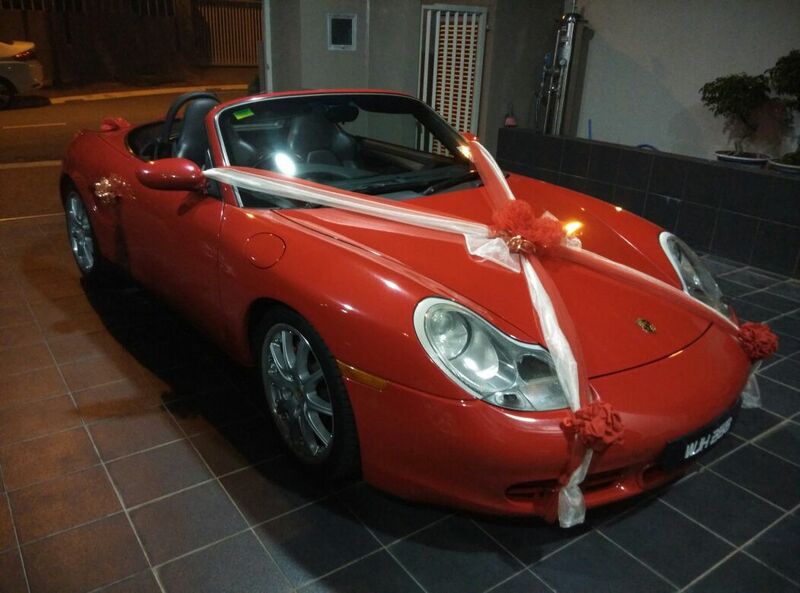 Introducing the first self driven wedding sports car in Malaysia, the Porsche Boxster S. This picture was recently taken when a customer asked whether there is such thing as a self driven wedding car. To that question, the answer we gave was: your bridal event should be whatever your mind can imagine. Therefore ladies and gentlemen, here it is: the first self driven local bridal car. Why Do I Want To Drive By Myself In My Wedding? It is common practice for bridegroom to be to have a chauffeur driven car but these days people want to be different. Gone are the days where wedding events are just sit-ins and waiting for guests to arrive, see your face and go home. It is in this day and age where it is the responsibility of the bride and groom to ensure that their guests go home happy. That’s why some bride and grooms perform dances in their wedding dinner, do magic shows by making their bride suddenly appear before them and doing long kisses on stage for the audience to watch. But how about driving in yourself into the ballroom with a 2 door convertible sports car and walking a short distance up onto the stage? This may sound outrageous but look at the super VIPs who do it. We have heard of bank CEOs who do it for their annual dinner and these are the people who we should emulate. Get creative and get speculative because that’s the fun part about having your own Big Day. Seize the day or Carpe Diem! The decoration on the Porsche is a simple one. It is easy to decorate and you do not need a very fancy decor on it. This is because the sports car itself should be the highlight of the looks and not the decoration or ribbons on it. Imagine driving it to the front of your wedding stage and opening the convertible hatch as you park. After the smooth opening of the top, the audience will get to see the beautiful face of the bride slowly being revealed in the cameras. Having this kind of video footage will be a cool thing for your kids to watch in the future. What are you waiting for? Call us now and enquire! Or use the booking page.